This is the perfect mountain retreat getaway nestled deep in a cul de sac with almost 4 acres of land to protect privacy & invite wildlife. Sit on the front porch and watch the sunset, or enjoy unobstructed mountain views from the 400 square foot back deck or living room. 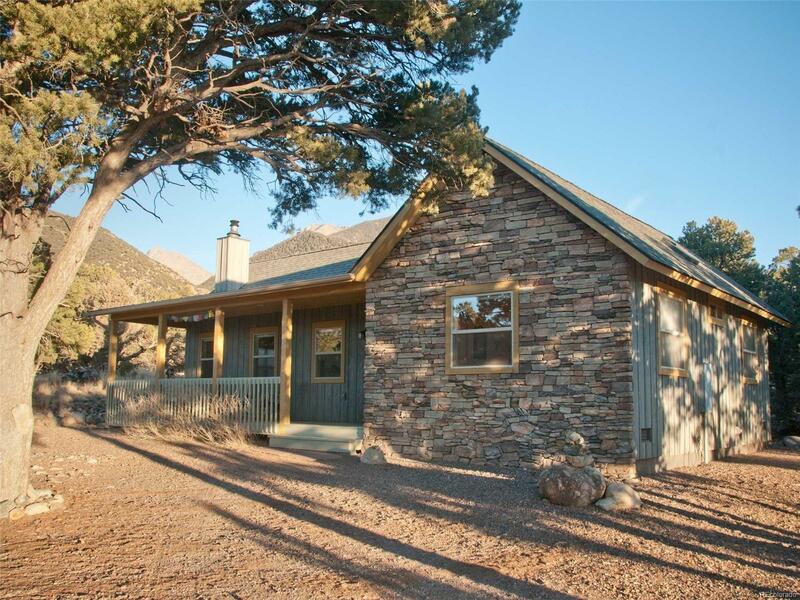 The property is situated in a stand of pinon pines, privately tucked away from neighboring homes. All of the high quality furnishings are included. The home is in exceptional condition with a newly updated bath, enhanced crawl space insulation, new stove and new washer/dryer. New deck is maintenance-free. Tongue & groove vaulted ceiling; French doors open from living room to deck; eating bar; full kitchen includes dishwasher. Close to hiking trails, the northern entrance to the Great Sand Dunes, local spiritual centers. More than $60,000 in recent high-quality improvements. This home has potential as a full time residence, vacation home, or short term rental. The quintessential mountain cabin!